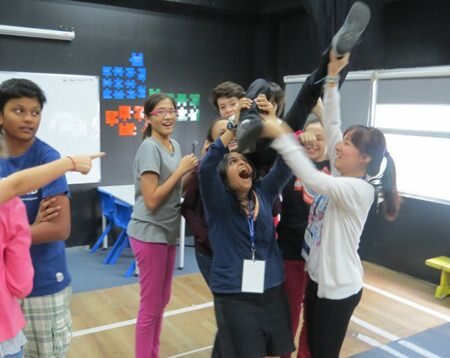 Early February is always a very special time for students at St Andrews because that’s when they go to the annual Drama Fobisia Festival and immerse themselves in all things drama for 3 solid days. This year it was the “Thriller in Manila”, hosted by the British School of Manila in the Philippines. The students had a chance to work with the truly awesome Frantic Assembly physical theatre group and take part in numerous workshops such as Stage Combat and Immersive Theatre, and even got to dine at the restaurant in which Pope John Francis recently visited during his stay in the Philippine capital. 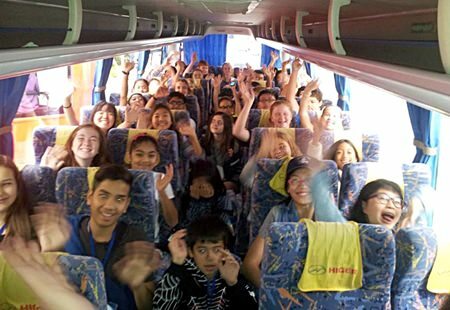 St Andrews’ students en route to the Philippines for the annual Drama Fobisia Festival. The visit culminated in a 20 minute performance involving all six of the schools, 90 children and a stunning display of choreography from the students, which was lovingly crafted by Frantic Assembly. For those students that missed this event, never fear as there will be an opportunity to take part in a similar festival which is being run by the ISTA group at the end of May, details of which will be made available shortly.